It’s no secret that Google brings changes and updates to its Play Store app thick and fast. So, it can be expected that they run a lot of UI tests comprising new functions and features at any given time. 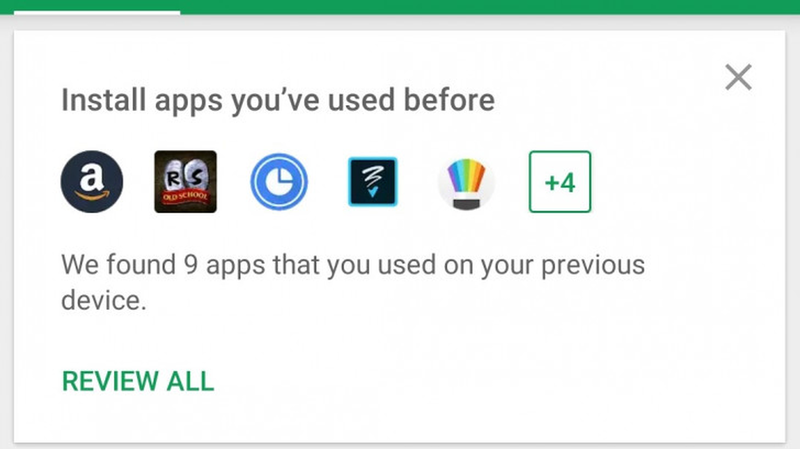 AndroidPolice managed to stumble upon one such feature that now prompts users to install previously used apps. To avail the latest Play Store features, download the latest Play Store APK. Once it’s done, open the app and tap on My apps and Games option from the top-left menu. You’ll be able to see this new card saying “Install apps you’ve used before” above the updates card, as seen in the featured image above. This new card shows you recommendations from your previously installed apps, including those that you recently uninstalled and also those which you might have had on your previous devices years ago, and have now become irrelevant or obsolete. If you tap on the ‘review all’ option, you’ll be taken to the ‘recommended’ page of the library card. How to get paid apps from the Play Store for free? On the recommended tab, you can choose to either install all the apps or individually select which apps you want to download. This is a pretty useful function since it gives users an option to install important apps they may have forgotten. It is great for developers too, for this might amount in greater downloads. However, it is unclear at the moment as to what causes this function to appear and hence may not be available for everyone. It might be possible that it only shows up when a user buys a new phone and logs in to their Google account to set up their new device.